Sounds like a great plan for you and H’Appy! Good luck! Finding a trainer is HARD. I struggled for years. But there simply are not many around me, so I feel your pain. that said, how awesome is that that is where you are right now? 😀 😀 (this is me stopping and smelling the flowers). The trainer I rode with this past Saturday at Windridge is really good. The only thing might be distance for you bc she’s up in Asheville. She’s got a great group of students that go to the various shows and have a good time! I can send you her info and if you can’t find anyone else maybe give her a try? Being local would mean that I could lesson more. Asheville is over 2 hours away. I’d probably look at Aiken which is a much easier drive from my house. 25 all the way! Thank you though!!!! She is on the south side but it still would be a hike for you! I know another person who miiiiight be able to travel to you? But not 100% sure bc you are south of Greenville (right?) Is J for sure leaving? I know the bidding is open but last I heard she was 50/50 about staying or going. Just depended on if she was outbid or if they wanted to much money for her to stay. I’m South which puts me closer to Aiken than Asheville. I don’t know. Last I heard the money required was doubling and she was tired of the games every 3 years. I’d be out if I was in that position. Not worth that stress. I’m not saying one is better but I do want someone who is willing to hop on my horse for me. So far all the instructors who don’t actively ride/compete haven’t been willing to and around here those who do are willing to. I know a lot of people don’t want someone else to ever ride their horse. I love having other people ride my horse! It gives them a chance to feel what I am and it gives me a chance to watch and learn how they deal. Whether or not they are a pro isn’t the sticking point. It’s being able to hand over the reins for them as needed to give the horse a boost when I can’t. Hellz yeah! How far is Aiken for you? I’ve heard good things about some trainers there that I was going to try if Trainer B hadn’t worked out. About 2 hours. Doable for a once a month type lesson. Any suggestions are welcome! 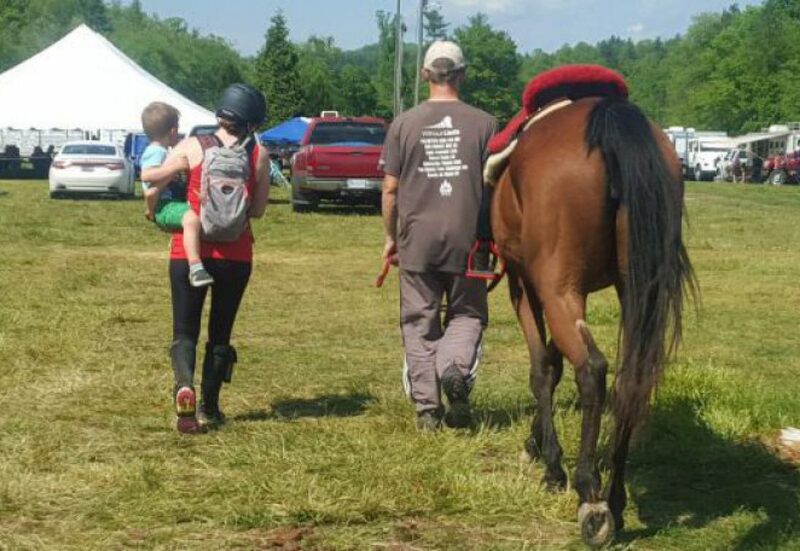 Honestly – it takes me an inordinate amount of time to get to know a horse, its why even though I am a capable rider, I wasn’t that great at IHSA (I did ok). So if you feel comfortable and knowledgeable in knowing H’Appy and the getting to know you phase is over that is a HUGE deal and you need to give yourself some major pats on the back. We all get through that part in a different amount of time (mine is just molasses slow haha). While it’s always nice to have a trainer who can hop on and feel what you feel do not discount the older than dirt trainers who don’t ride anymore they’ve seen it all under the sun and can still troubleshoot things from the ground. Though again it might not be the best solution for you, you never know until you try, but it’s worked out pretty well for me! Trainer M sounds great. I love how positive he is in the videos and he always sounds like he really cares during the lesson. If I could find a M out here I wouldn’t care if he rode or competed.